Happy Friday my spookies! I made a pumpkin chocolate chunk quick bread that came from this mix - I had originally purchased it as a gift for a gluten-free girlfriend, and then I forgot to give it to her, and so I just kept it and made it for myself. That's a good way of giving presents, n'est-ce pas? (also, i just used up most of the french that i know right there) I would have been hard pressed to tell the difference between this GF version and a non-GF version, it was really fantastic! Even Andrew liked it, even after I told him that it was gluten-free, ha ha ha. I MUST READ THIS ASAP. Curiouscandy.com - hey all you NYC'ers - do you know about this magical looking place?? Chai tea with oatmeal raisin scones. Is this perfect for fall or what? From a new-to-me blog called Kitchen-Repertoire. I've been on a pinning spree with their site. Seedling. Really cute craft kits and more for kids. I have Very Strong Feelings about all things decorating - have I really discussed this on the blog? Not sure that I have - my husband and I together have gone forward with a somewhat modern sensibility when it comes to decorating our home, and I'm very cool with that. I've come to love a modern look. I would like to live in a West Elm catalog or Domino magazine. But in my innermost soul, I feel like I'd be happiest in rooms like these. THAT BEDROOM. In the winter cottage that exists in my mind. How to Make an Apple Pie and See the World. More lunch box food inspiration. Cool Book of the Week: 'No Such Thing' by Ella Bailey is another Halloween charmer for tinier tots. (i'll get to some bigger kid books next week) Soooooo darling, Julia found it at the library. A little girl notices that things are moving around in her house, or are broken, or disappear - but she knows there are rational explanations to explain these mysteries, like naughty pets or little brothers etc...certainly NOT ghosts. Except...does the little girl see what we see? Tiny little ghosties hiding in the background, making merry mischief? Totes adorbs, my friends. And yes, Andrew and I now use that phrase ALL THE TIME to horrify our daughter. TOTES ADORBS. It's most hilarious when my husband says it. Have a lovely weekend! I have most of our Halloween decor out! I'll try and snap some of it to show and tell before Halloween is over. 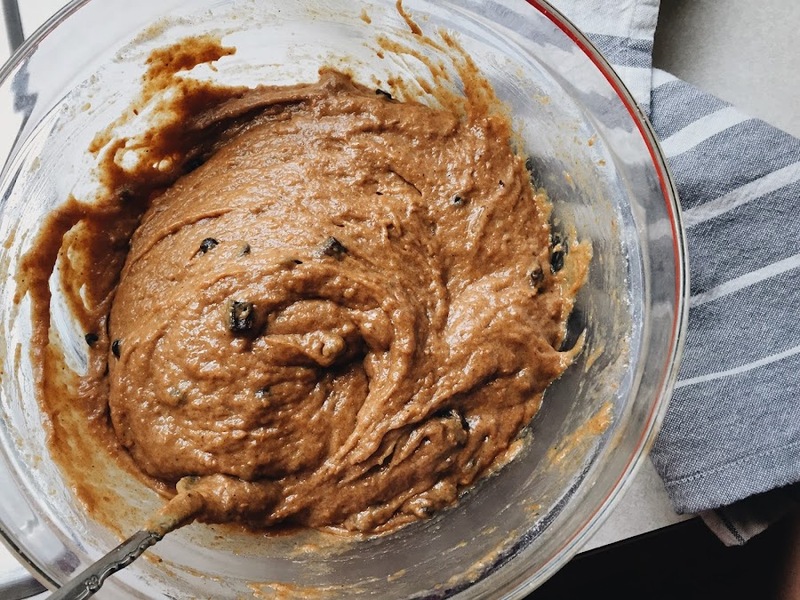 Oh, that pumpkin chocolate chunk bread sounds so good! I picked up some pumpkin cream chesse muffin tops at Whole Foods yesterday, and they are so yummy!! Yes... post photos of your Halloween decor! Okay, Seedling looks very cool. I have been on the waiting list for No Such Thing for forever, it seems - but not really, because it look the library a really long time to even list it. Still waiting... Hooray for Rainbow Rowell! And pumpkin everything! And I want to go to a forest right now. I need more trees in my life than Kansas can provide, I think. Aw, thanks so much for including my apple pie post! Mwaaah! I love that you call us spookies. That's kinda the best. oh yes, i've done it the past coupla years and I love it so much, and Oct is the only time I can do it! Oh yes that mushroom garland. it's SO HAPPY. and it would be the perfect fall time decoration!